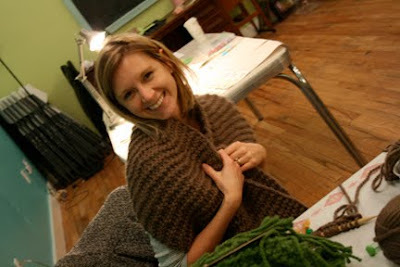 hey jen renee: "may every stitch you knit bring you a little closer to that calm, clear space in the center of your soul"
"may every stitch you knit bring you a little closer to that calm, clear space in the center of your soul"
Some super rad pics with my first knitting class at Ephemera, taken by the most excellent Karen. Just look at how much they accomplished! (What a super fun group.) Right now, we're mid-session with group number two. 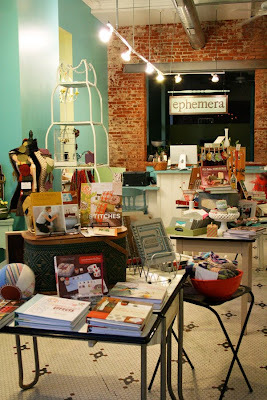 Be sure to check back at Ephemera for their new schedule of upcoming crafty classes. It's absolutely a dream space to be in while you create and work and giggle and learn! I love that blue wall and white étagère in the store. 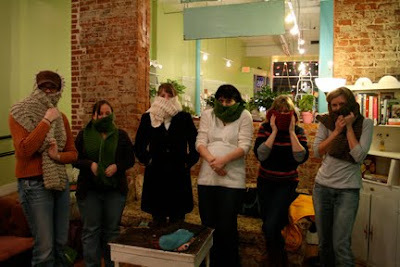 God, I wish I could take your knitting class. When you come down here you'll have to teach me...Patty is coming down in the fall, you guys should come together! Love the scarfs. 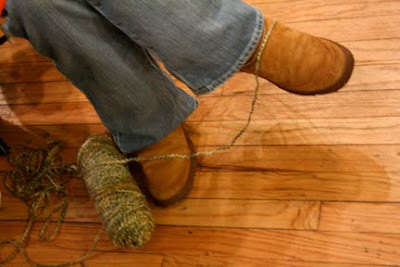 Would love to have the pattern, along with the size sticks used.